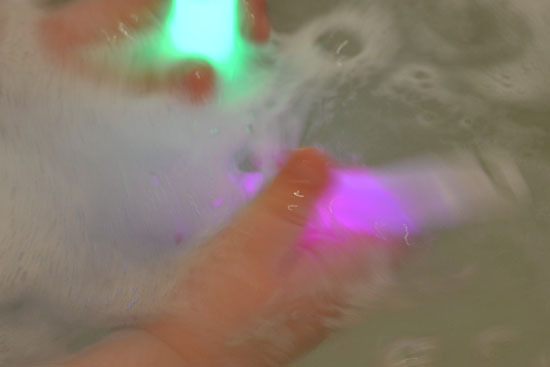 E wanted to take a bath first thing in the morning, and since we’d had an awesome time playing with glow sticks in the snow only a few days earlier, I finally remembered to break out some glow sticks to put in her bathwater. 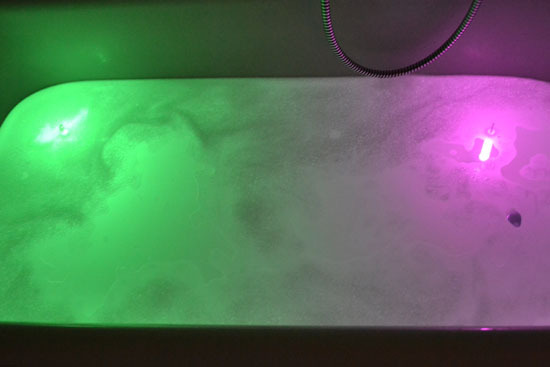 I’d actually been planning on putting glow sticks in the bathtub for a long time but kept putting it off. Now that we’d had so much fun in the snow, I couldn’t wait to finally put them in the tub. 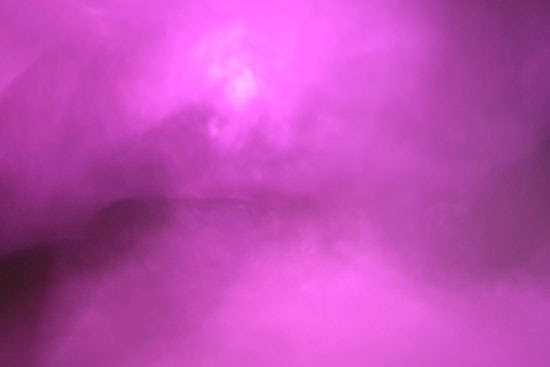 And once again, we had a great time with our glow sticks. Bathtub (or other body of water). then placed them in the water and watched them change the water and the bubbles in completely new and different ways. She was enthralled. 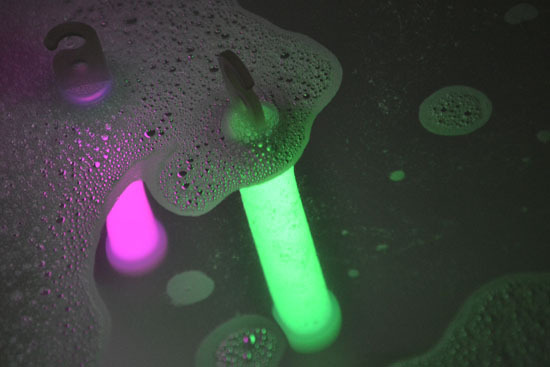 Glow sticks in the bath are different but just as awesome as in the snow. Great ideas should really be enjoyed ASAP. We’re definitely doing this again. 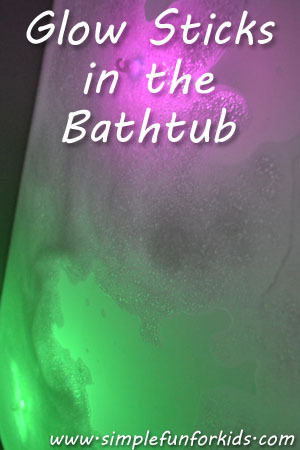 Add more bubble bath for different effects. 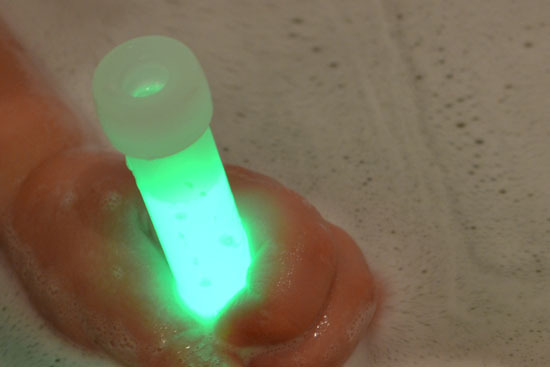 Color your bubbles with food coloring and watch the colors change. 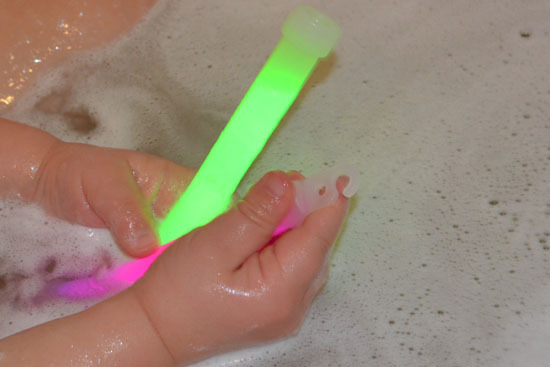 Do you enjoy playing with glow sticks? Have you used them in the bathtub? Tell me about it in the comments below!